You pull back your bed sheets and see them scurry. You reach down and grab your shoe, only to see a couple jump out just before slipping your toes in. The walls appear to be crawling, and they begin dropping from the ceiling. Dangerous and deadly Brown Recluse spiders!!! With Halloween just around the corner, the above description seems like something pulled straight out of an upcoming horror movie; but this nightmare happened to be reality for a Missouri family who was sharing their newly purchased home with some 6,000 plus Brown Recluse spiders. Imagine moving into your dream home, only to find out that you’re not the only resident living inside; in fact, you’re currently have about 6000 roommates. These aren’t any normal roommates either. These roommates are dangerous, and even deadly. You discover your home is infested with 6000 Brown Recluse spiders. After moving in, the Trost’s began seeing a few Brown Recluse spiders here and there, behind loose wallpaper, or one crawling on the wall. In the following days, she saw spiders and their webs every day. They were in the mini blinds, the air registers, the pantry ceiling, the fireplace. Their exoskeletons were falling from the can lights. Once when she was showering, she dodged a spider as it fell from the ceiling and washed down the drain. Shortly after this, the Trost’s described the â€œwalls bleeding with spiders.â€ Spiders began falling from the ceiling. Spiders began showing up behind every mini blind. They even found spiders in the fireplace. After battling their insurance company, and a few unsuccessful attempts to exterminate the spiders from a few pest control companies, the Trost’s decided to abandon all hope and ditch the spider infested home. The Missouri family is currently in a lawsuit against the home’s former owners who allegedly failed to report the spider infestation. Hell House is currently owned by the back, and the Brown Recluse spiders. The Brown Recluse spider is a hunter by nature. It does not use its web to catch insects. The Brown Recluse is usually found living inside idle or vacant structures. They also hide in attics, basements, wall voids, and can occasionally be found hiding in discarded clothing inside your home. They favor areas of low activity because they are actually quite shy in nature. 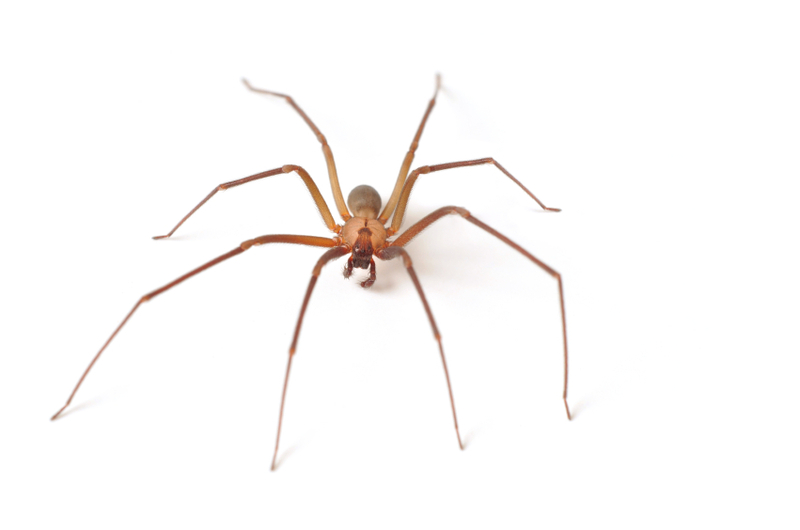 Brown Recluse spiders are not aggressive, biting only when provoked and threatened. 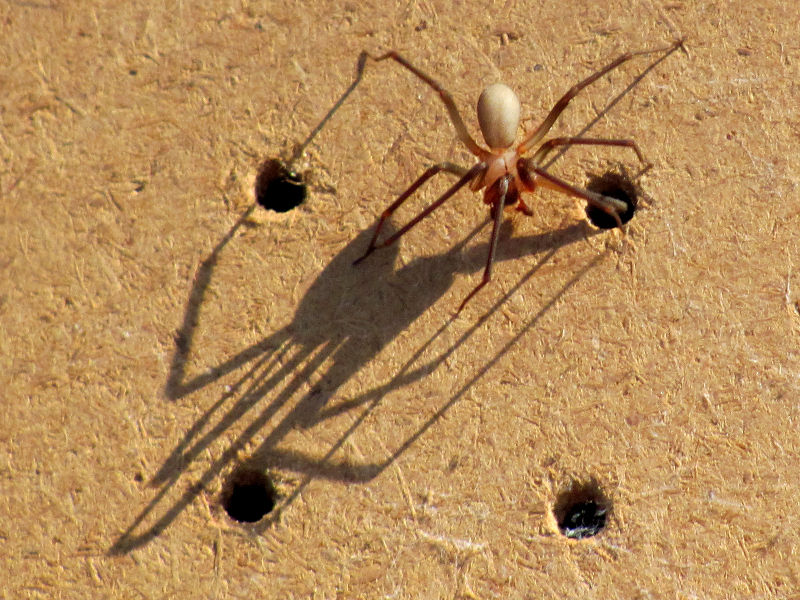 The Brown Recluse will live about two years, but can survive without food or water for about six months. They are most common in the Southeast United States, and the lower Midwest. Cities like Tulsa, OK have serious Brown Recluse problems.